Brand loyalists understand that at the end of the day, there's nothing quite like a Subaru. Subaru's vehicles are known for being tough, reliable, and safe. But until the all-new Ascent came along, Subaru owners had to choose other brands to get a bigger vehicle. 2019 changes that, however, with the Ascent, which is Subaru's first SUV. The SUV contains all the features of other Subarus that you love, such as all-wheel drive and a number of safety features. So if you're asking yourself "why lease the 2019 Subaru Ascent? ", especially in comparison to other SUVs, you'll know it's the right car if you're looking for a versatile, sporty, and well-equipped SUV that is ready for adventure. 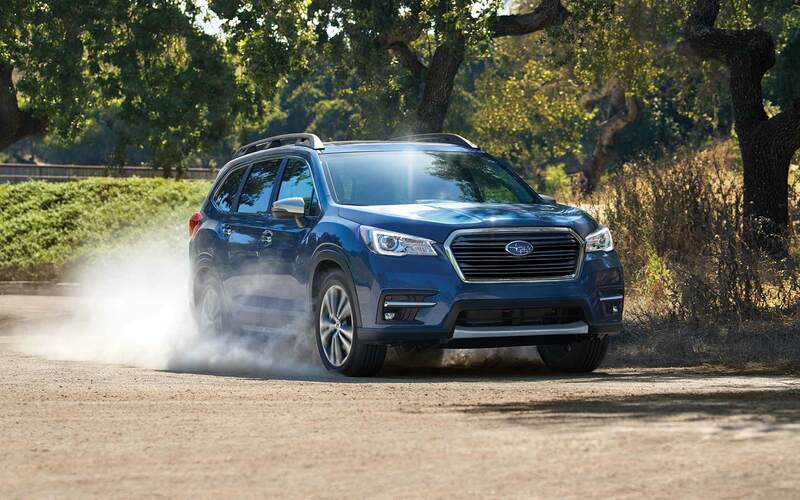 With room for up to eight passengers and a spacious cabin, the Ascent is arguably the most family-friendly vehicle that Subaru offers yet. When you're ready, ask about a lease at Flatirons Subaru, where the customer-oriented staff is eager to explain the new SUV's benefits. Striking a fine balance between an SUV and a minivan, the Ascent features a number of notable exterior amenities that are family-friendly, convenient, and ready for adventure. One notable amenity is an oversize power-operated moonroof, which is the largest moonroof on any Subaru vehicle yet. 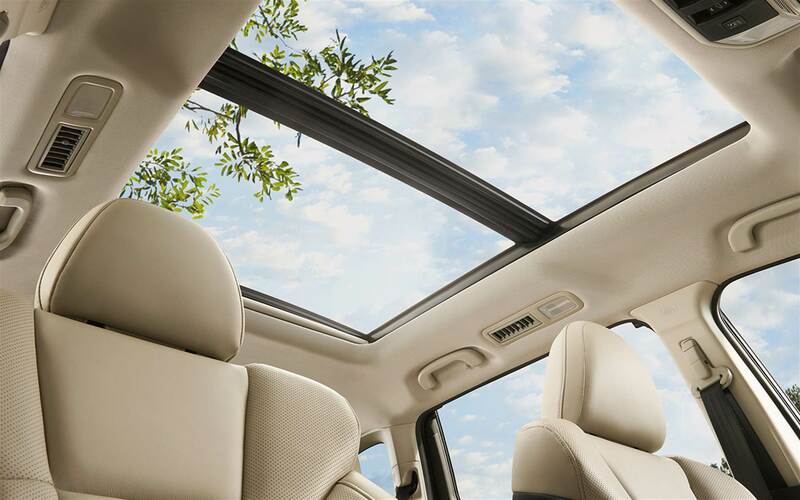 With a moonroof of this size, the Ascent's already-large interior feels even more spacious. If you're debating which trim level and amenities to get on the Ascent for lease at Flatirons Subaru, serving Denver Longmont Boulder, be sure to ask the staff at Flatirons about the available power-operated liftgate that provides convenient hands-free access to the trunk when you can't open the door easily yourself. And if you're looking for a car that meets your adventure and travel needs, also inquire about the roof rails on the Ascent that are standard on all models. Depending on your needs, you can get accessories to transport bicycles, kayaks, snowboards, and other outdoor gear. The attractions of the Ascent start from the inside out. For starters, you have two choices when it comes to seating, which is determined by the second row. Here you can choose between a row of three seats or a row with two captain's chair seats. The two-seat second row holds a maximum of seven passengers. Both back rows feature a split-folding design that maximizes space when necessary. With the seats folded down, both the seven-passenger and eight-passenger editions produce up to 153 cubic feet of storage space. Technology in the 2019 Subaru Ascent near Denver Colorado includes an infotainment screen with app support and device connectivity. WiFi is available on select models, and you can also get an assorted number of USB charging ports depending on the trim level that you choose. Fortunately, you can try out these features and more when you choose to lease at Flatirons Subaru. You can also explore the Entertainment Anywhere package for your Ascent, which pairs with your iPad to ensure that you stay connected to and engaged with the world around you. Regardless of which trim you get, your Ascent comes with an impressive number of 19 cup holders to hold water bottles, sports drinks, coffee, and more. The 2019 Subaru Ascent is powered by a sole engine, which is a four-cylinder, turbo-charged engine that generates up to 260 HP at 5,600 RPM and produces up to 277 LB-FT of torque at 2,000 RPM. The engine features direct fuel injection technology and in intercooling system. It also features a displacement of 146 cubic inches. The Ascent accelerates from 0-60 MPH in just over seven seconds, and it goes from 0-100 MPH in about 18.5 seconds. All trim levels of the Ascent are paired with a capable automatic transmission that uses continuously variable (CVT) technology to make gear-shifting as smooth as possible. 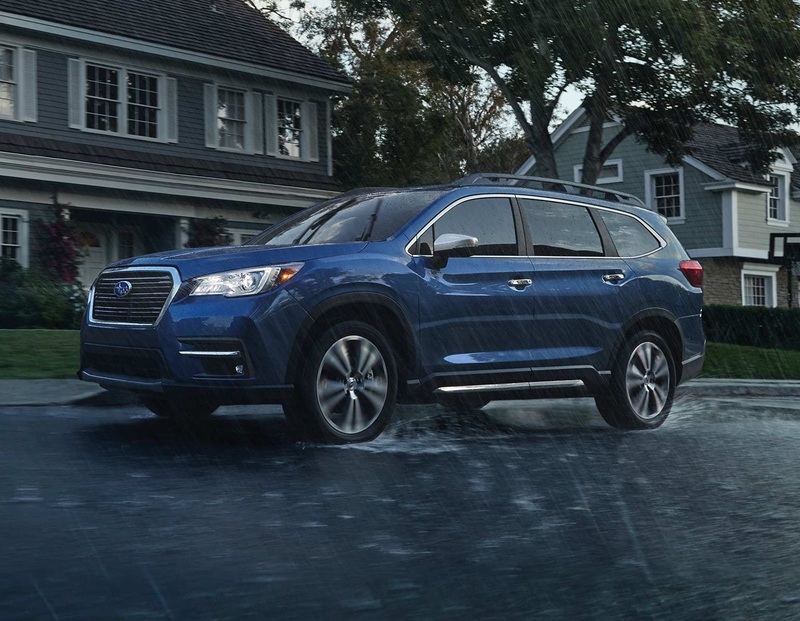 The Ascent features Subaru's legendary all-wheel drive, which gives drivers maximum confidence and control when driving on slick surfaces and traversing off-road terrain. To ensure that the Ascent has maximum stability and control, the all-wheel drive features a symmetrical layout, which helps to balance the vehicle and distribute power to all wheels for maximum traction. If you're still wondering "why lease the 2019 Subaru Ascent," you'll see that safety is first when you take the 2019 Subaru Ascent for a spin at Flatirons, serving Denver Longmont Boulder. With all the safety the Ascent offers, you'll feel more confident and protected in an SUV than you ever have before. 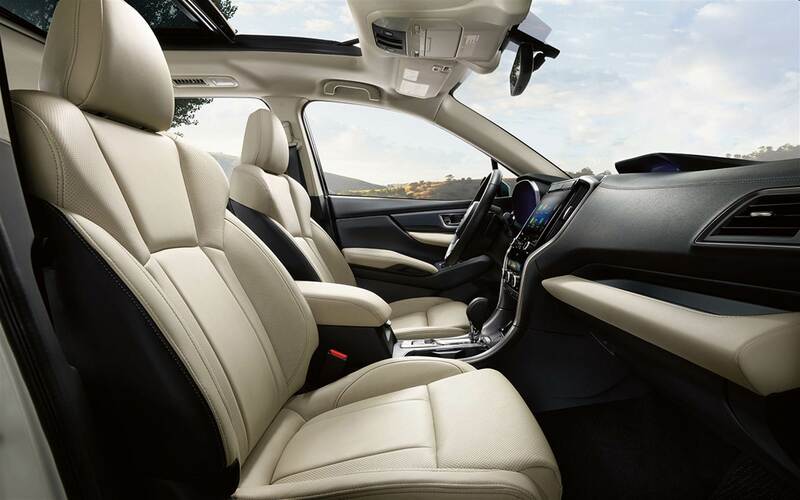 The Ascent features Subaru's award-winning safety technology, which includes a variety of standard and optional amenities. All trim levels of the Ascent are equipped with the brand's signature safety package, which is called the EyeSight. 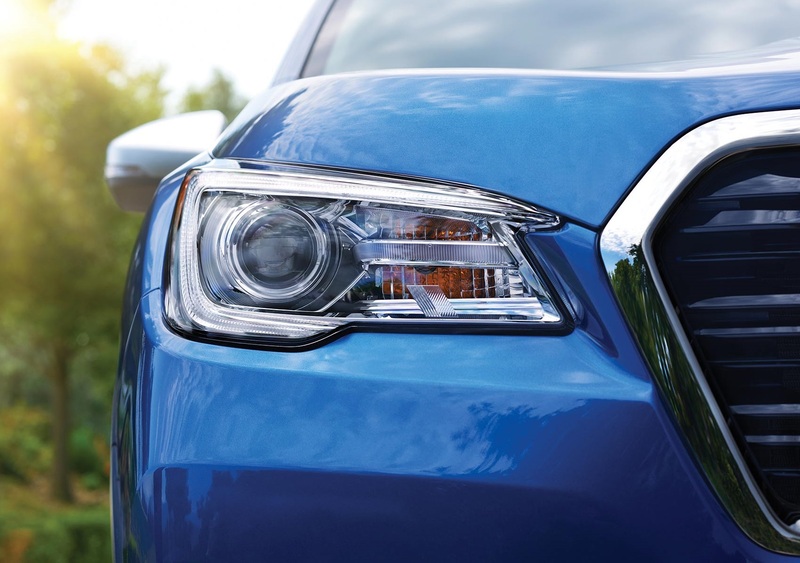 This package made Subaru's other vehicles top IIHS safety picks in 2018, and with the inclusion of the EyeSight in the 2019 Ascent, the latest model year looks to be just as promising for safety. The EyeSight suite uses a combination of radar technology and sensors to keep a constant watch on traffic and objects in front, to the sides, and in back of your car. Lane-change alert, lane-keep assist, and frontal collision warning with automatic emergency braking are just a few notable safety amenities that you'll find in the Ascent. Additional optional features, including a front camera and rear-traffic alert, complete the Ascent's safety offerings. For the first time ever, Subaru has wrapped up all of its iconic features in a larger vehicle. Ask about the chance to lease this car at Flatirons Subaru, where the knowledgeable staff is ready to answer all your questions about the benefits of leasing a vehicle and the Ascent itself. Contact Flatirons near Denver Colorado today to find out more about your opportunities to lease this exciting new Subaru.